Located at about 25km away from the capital city Kuala Lumpur, Putrajaya is just over a decade old, and this new seat of Malaysia’s federal government has developed from a palm forest into an architecture wonderland. Located at the center of Precint 1 is the Dataran Putra (Putra Square), a 300m circular plaza bounding Putrajaya Lake. An icon of harmony, the concentric circles are laid out in pointed stars that symbolize the 11 states of Malaya at Independence, the 13 states of Malaysia in 1963, and the addition of the Federal Territories. The Perdana Putra Complex, which houses the Prime Minister’s offices, along with the offices of the Deputy Prime Minister and Chief Secretary of the Government, sits next to Dataran Putra and overlooks Putrajaya Lake. Culminate in a spectacular domed ceiling, the superbly designed Perdana Putra Complex rates as highly as any nation’s seat of government. Nearby is Masjid Putra (Putra Mosque). Constructed of rose-tinted granite, its dome stretching far into the sky, the mosque can accommodate 15,000 worshippers at any one time. The mosque’s single minaret is 116m tall, overlooking a large courtyard (the sahn). Down the escalator to the food court offers the magnificent view of Putrajaya Lake. In all, Precint 1 is truly an amazing sight. Recognized as the “Intelligent Garden City”. Putrajaya also features the Botanical Gardens, the largest botanical garden in Malaysia. Complemented by the Nature Interpretation Center and the Putrajaya Wetland, Putrajaya is very much an eco-tourist’s preferred tourist place. 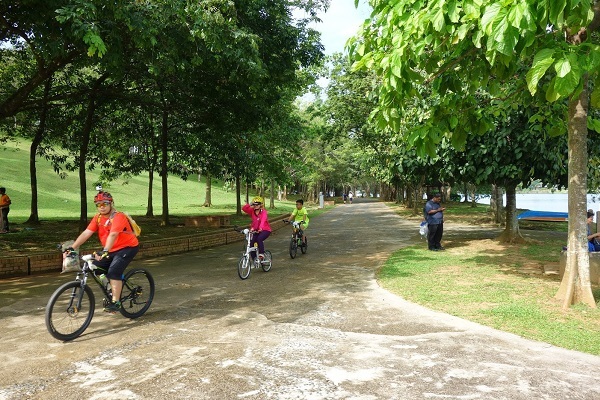 As Tan Sri Azizan Zainul Abidin, President of the Putrajaya Corporation, has stated, keenly pointing out the value of Putrajaya as a day trip from Kuala Lumpur: “Both cities complement each other. Kuala Lumpur offers the metropolitan environment such as iconic towering buildings, cafes, pubs, and shopping centers, while Putrajaya is tops with eco-tourism spots”. Putrajaya is a well lit city. 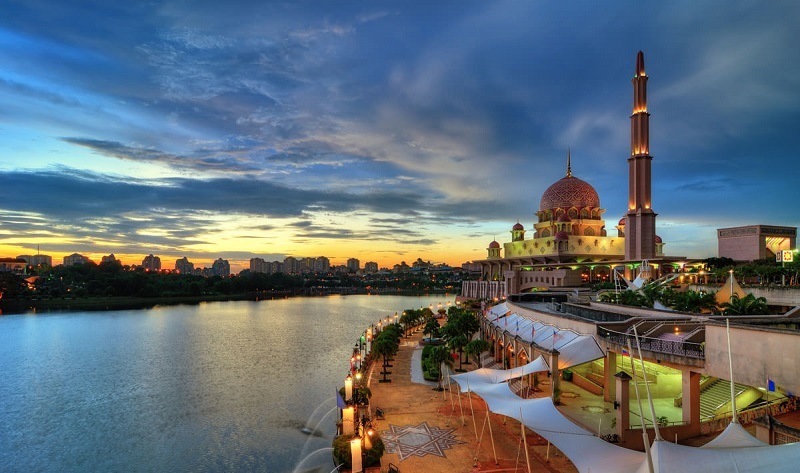 One of the main attractions, the Seri Wawasan Bridge features a tremendous view overlooking the Putra Mosque. For self driving tourists and visitors, simply park by the roadside and enjoy the scenic night view. Otherwise, hop on to a Lake Cruise and tour around Putrajaya for sightseeing. 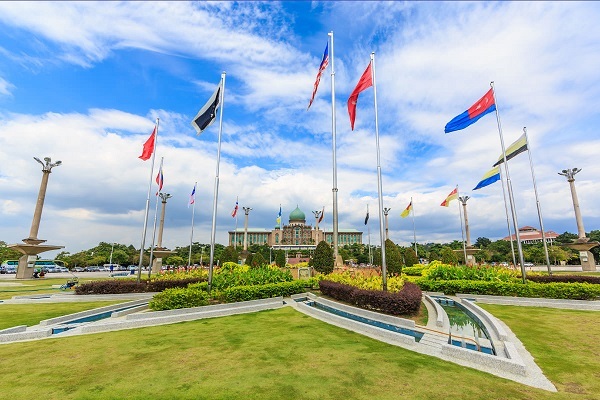 Serves as the country’s administrative center, Putrajaya can be easily accessed.